This Ashoka fellow and co-founder of Dream A Dream Foundation explains how our early experiences shape the architecture of our brains and the impact of stress on children. The response was a lightning jolt and I came away deeply disturbed on realising how little I understood the complexities of their daily lives. After several years of working with these young people and reading research, I now understand the impact of adversity. Adversity, which includes, malnutrition, violence, abuse, neglect and abandonment have irrefutable effects on child development and mental health, resulting in challenges throughout children’s lives. Adversity leads to some of the debilitating social problems that include unemployment, violence, crime, alcoholism, apathy, poor economic conditions and a range of physical and mental health disabilities, which have been available for some time in the public health domain. It’s not something we can ignore as the cost of damaged childhoods to a nation is immense. In the 1990s, the Center for Disease Control in the United States and Kaiser Permanente, a major insurance firm, initiated a large-scale epidemiological study, that has since come to be referred to as the ACE (Adverse Childhood Experience) study. The study was commissioned after it was noticed that a multitude of health and social problems that include chronic heart and lung disease, obesity, alcoholism, inability to benefit from schooling, imprisonment, depression, intimate partner violence, sexually transmitted disease, adolescent pregnancy and early death occurred in clusters. When they dug deeper they found that what was common was a childhood experience of abuse, neglect, and family dysfunction. Since then a large amount of data has been collected worldwide from several countries corroborating this finding. But why or how adverse childhood experiences lead so inevitably to a web of pathological and maladaptive behaviour later in life was not clearly understood and remained a scientific gap for long hampering the designing of effective interventions. However, in recent years, because of a deeper understanding of the early stages of human brain development, this gap has been bridged and substantial evidence is emerging to support a causal relation between adverse early experiences and negative life outcomes. Research findings from several disciplines are converging to reveal a story of how our early experiences shape the architecture of our brains and how in doing so largely determine our destiny. This becomes pertinent in the Indian context where approximately 160 million children grow up in poverty and experience adverse childhood experiences. The United Nations Children’s Fund reported that 42 per cent of India’s population was surviving on less than $1.25 per day, and around 160 million of the 460 million young people in India under 18 years old were living below this international poverty line. It was estimated in the Hunger and Malnutrition (HUNGaMA) Survey Report (Naandi Foundation, 2012) that 42 per cent of children aged under five years in India were underweight, and the growth of up to 59 per cent was stunted. These problems, however, are reported to be mainly due to malnourishment, completely missing out the lens of adverse childhood experiences. F Kennedy and other researchers, in their paper on measuring life skills of children from disadvantaged backgrounds (2014), state that this poor growth pattern indicates developmental delay, a phenomenon that has been observed for over a century, and is known as failure to thrive, which is associated with a range of mental health and developmental issues (Schwartz, 2000) caused due to ACE. Failure to thrive brings with it a package of problems including attachment disorder, cognitive impairment, emotion and behavior regulation difficulties, and neuropsychological abnormalities. Can this be solved? Yes. The interventions to deal with the psychosocial problems caused due to ACE accompanying failure to thrive include promoting the acquisition of life skills via programmes involving direct teaching of life skills as well as using sport, creative arts, adventure camps, empathy-based pedagogies, transformative pedagogies, experiential learning approaches, play based learning, mentoring and befriending. The aim is to ameliorate the effects of adversity by providing life skills to enhance development, develop agency and enable young people to become healthy adults who can participate fully in the life of the community. This is beautifully demonstrated by someone I know. Vivek (name changed) ran away from home as a child and ended up in a shelter for runaway boys. Lost, confused, lonely, low on self-esteem, Vivek got an opportunity to participate in a variety of life skills programmes. He watched facilitators as they helped develop his life skills and he wanted to emulate them when he grew up. When he turned 19, he chose to become a life skills facilitator. 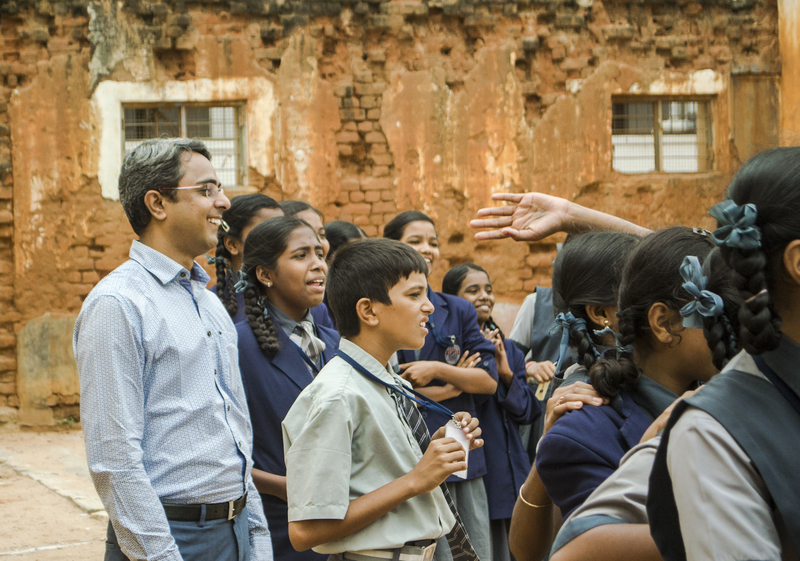 Vivek is 27 now and manages an entire After School Life Skills Program for over 5,000 young people from disadvantaged backgrounds and leads a team of 39 facilitators. He inspires them to overcome their life circumstances and lead a life of purpose. He is a trainer and works with teachers helping them unlock creativity and empathy in their engagement with students. He lives on his own, has learnt to build a support system for himself, has a dream to impact every child in India and is deeply passionate about football and rugby. Vivek demonstrates that through the right interventions and with access to caring, empathetic adults can overcome adversity, catch-up to their developmental milestones and thrive. As millions of children in India enter the education system as first-generation learners, our education systems will have to be alive to the impact of adversity on their development and respond with acceptance, care and understanding to help them thrive. If not, generations of our children will continue to struggle through life, for no fault of their own.